Haiti specialized auction – time to take a Liberty? Specialized single country Latin American auctions are occasional events: even more so as far as Haiti is concerned. However, next week sees an expansive, dedicated auction to just one stamp: the 1881-1887 Liberty Head. Soler y Llach in Barcelona is offering the ‘Hispaniola’ collection of Liberty Heads on the 31st January 2019. There is a wonderful selection of items on offer for the specialist including proofs, multiples, rare frankings, plate reconstructions, colour trials, sheets…it’s all there. A large proportion come accompanied with Moorhouse certificates. There are 144 Liberty Head lots in total, followed by a further 13 lots dedicated to the later Salomon issue of 1887. Bids are accepted online through Soler y Llach directly or via Stamp Auction Network. For those that want to keep a record of the auction, a downloadable catalogue is available below. 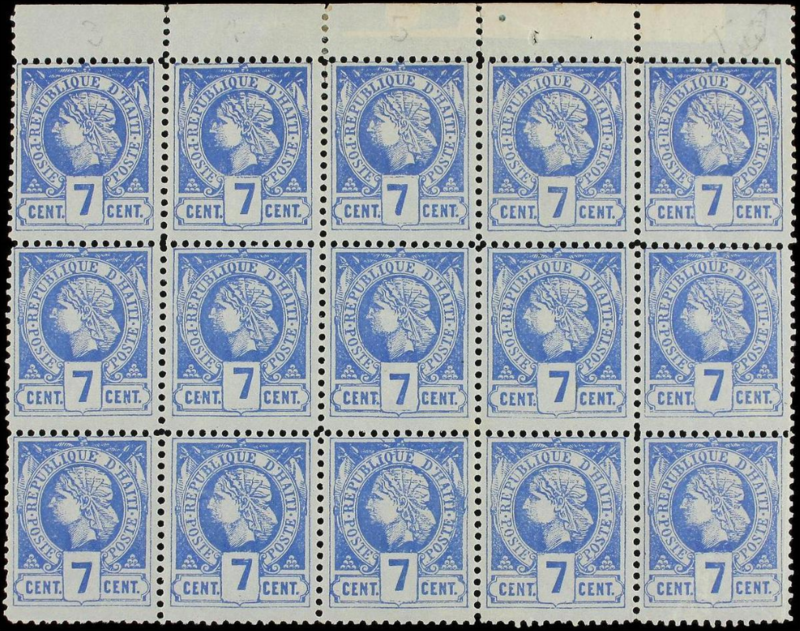 If you are bidding in this auction, the odds are you are already a member of the Haiti Philatelic Society (and if not, you should be). The Society also holds a small number of auctions for members throughout the year. Elliot on Which country has the world’s worst postal service? Varun Thomas Paul on Which country has the world’s worst postal service? P. Bose on Which country has the world’s worst postal service? Zero interest in Latin American stamps? I write in English and use an automatic translation tool for other languages. If you find errors, please send an email to nick@classiclatinamerica.com and I will correct the text. Thank you.